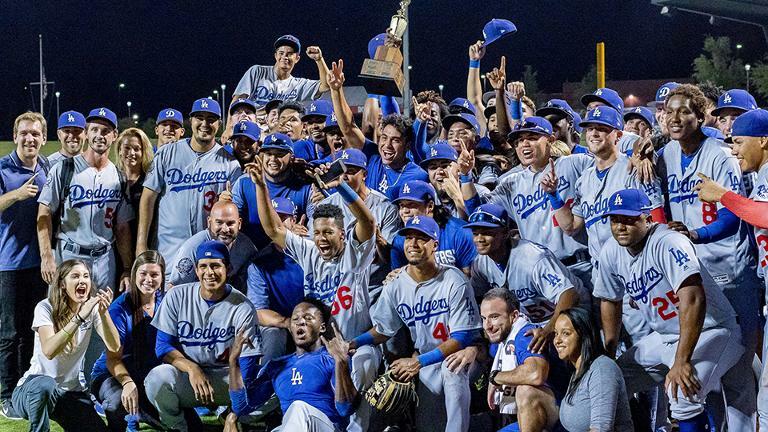 Sauryn Lao hit a two-run triple in a four-run fifth inning as the Dodgers captured the Arizona League championship with a 6-5 victory over the Cubs on Saturday. Despite giving up an unearned run in the seventh, starter Brayan Herrera , White Sox No. 17 prospect Zack Burdi and Mauricio Cabrera combined for the feat as the Rookie-level Arizona League White Sox topped the AZL Brewers, 3-1, on Monday at Camelback Ranch. Indians outfielder/first baseman Miguel Jerez has been named Arizona League MVP and headlines the Rookie-level circuit's group of end-of-season All-Stars, the league announced Friday afternoon.